On January 12, 2015, Jamie Poulos and Rick Ortiz represented Poulos & Bennett in attendance at the groundbreaking of the new corporate headquarters and manufacturing center for Voxx International, a global producer and supplier of consumer electronic products in the automotive industry. Poulos & Bennett was chosen to handle all civil site design and permitting for the project located in Lake Nona. 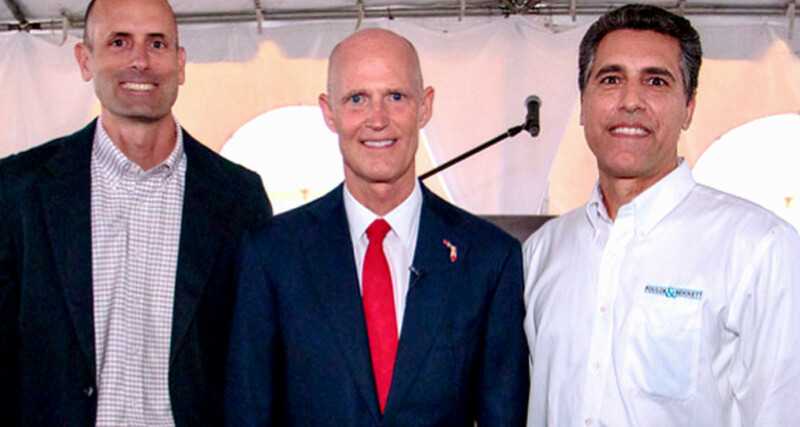 Also in attendance was Florida Governor Rick Scott who announced that the along with the new facility would be the creation of 130 new jobs. The facility will be located in the Lake Nona Airport Business Park, just a short distance from the Orlando International Airport, and Innovation Way.